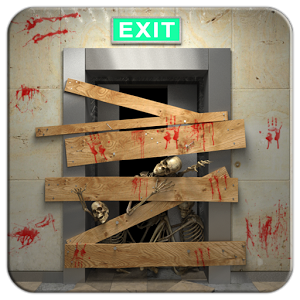 100 The Doors of Revenge is the sequel to 100 Doors 2013 , a puzzle game in which we had to open a lot of doors for us to climb the floors of a building . In this second part of our goal is the same ... well . The basic difference between this and the second release is the first scenario, the '100 Doors of Revenge ' is much darker and find immense doors with puzzles that give us chills . To solve these puzzles , we must try to think from the perspective of a given . This means that not all have a puzzle solution on the screen. To resolve some of them have to use buttons on the phone ... or change the time ... the date, etc. . The base game includes over twenty different puzzles with their corresponding levels, but the developers add more and more weekly until reaching 100 . 100 The Doors of Revenge is a fun puzzle game that has some really ingenious and challenging puzzles . Furthermore, provides a graphical section, not even getting an A scraper B.